Tammy was blessed to grow up in a wonderful family with Christian parents and gave her heart to Jesus in vacation bible school when she was around 5 years old. She nearly died on more than one occasion when she was a little girl and experienced many destructive type challenges, not knowing the covenant promises of God. In 1980 she moved to Houston, Texas very discouraged and in search of a change in her life. In her journey, she experienced the transforming power of God after receiving the Baptism of the Holy Spirit in 1981. Jesus revealed Himself to her as Healer, both physically and emotionally, and delivered her from years of illness and defeat. She came to know the redemptive knowledge of God’s Word and His covenant. 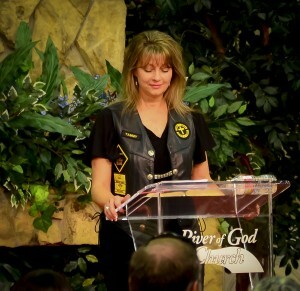 Tammy answered the call of God into the ministry that same year. Her life was dramatically and eternally changed forever! After attending bible school, Tammy was blessed to marry Ben Priest and together they have worked to establish and build the international evangelistic outreach ministry of Tribe of Judah. They also founded and pastor River of God Church and Tammy assists in the preaching and teaching ministry of the church as well the ministry of Tribe of Judah. She ministers in various churches, conferences, women’s events, bible schools, as well as through media avenues. Her teaching series have been distributed in prisons and various parts of the world. As an ordained minister of the Gospel, answering that call has resulted in an international ministry to people in all walks of life. 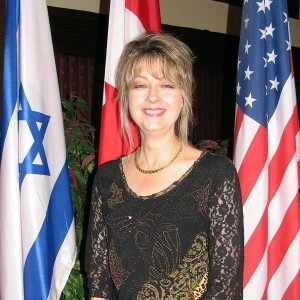 Flowing powerfully in the Holy Ghost, Tammy has ministered hope and healing to thousands over the past 38 years. She is a soul winner whose heart beats for the lost and hurting. She desires to help people walk in the reality of Jesus and the abiding power and presence of the Holy Spirit to fulfill their purpose and destiny. 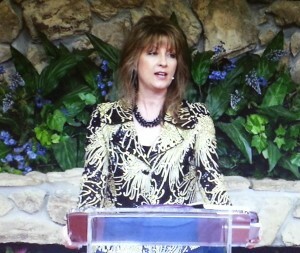 Tammy is passionate for America and believes a great outpouring of Heaven is coming to this nation. Challenged personally by the storms of life, she encourages people to become all God has created them to be and never, ever give up on their dreams! Known as the "Happy Pastor's Wife", Tammy takes great joy in being a wife and the mother of two amazing young adult children Rachel and Samuel, as well as two beautiful grandchildren. Watching God move in their lives is one of the greatest blessings in her life! Invite Tammy to speak at your event.